The Great Ones that inhabit the nightmare are sympathetic in spirit, and often answer when called upon. Moon is a Caryll Rune in Bloodborne. In Hypogean Gaol between 2 of the Snatchers near your lantern. In Mergo's Loft at the bottom of the spiral staircase where you fought Micolash. Since nobody posted the actual amount you&apos;re blood echoes increase after all 3 runes were stacked, it&apos;s 1.716. or 171.6%. Killing the female beasts in room 1 gives you CRAZY blood echoes, managed to get my arcane to 70 before changing to the blood moon phase. By equipping all three Moon runes, completing a full offering Depth 5 chalice dungeon will net you roughly 1.5-2 million echoes after killing every enemy and boss. I never equip any other runes, in fact. It’s OP or no-P. The location portion of this page should be rewritten, or deleted entirely because at this point in time it&apos;s terribly unclear, and pretty much impossible to follow. Compare this to the actual walkthrough which could actually just have been copy&pasted (no brainer?) into the section instead of whatever you call that. Do these runes affect blood echoes gained for cooperators that are summoned to your world?? Wow! Wait, whaat? Use the Make Contact emote in front of a gigantic dying brain in the dark... Seriously, how could you figure this out by yourself lol? This game is amazing, but the players dedication is even more amazing. Thank you guys. 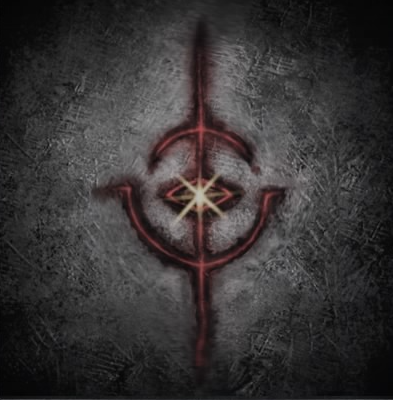 Can you get the rune even if the brain of mensis is in the hole?
" the Great Ones inhabiting the nightmare". More than one? if you have more then one moon rune on do they stack? I found out the hard way that you can only choose either the blood stone or the rune with the chalice. I choose the rune thinking it would drop the rock. But obviously that&apos;s asking alot lol. Is the math on using more than one of these multiplicative or additive? For example, assuming the thing you kill gives 100 echoes. 100*1.6 Or 100*1.1, then that number times 1.2, then that number times 1.3? Holy crap, that actually worked. In NG+, if you have all three of the moon runes equipped, you can become extremely over-leveled and destroy the game. Does anyone know if they stack using all 3 of them? How does the multiplication of percentages work? If I&apos;m using 1 and 2 together, will I get 10% of the 20% as well as 20% of the 10% ( as well as the base 10 and 20%) to make 34%? can someone explain how that works? I just successfully used the &apos;&apos;contact&apos;&apos; gesture about 10 minutes after killing Mother Brain (without respawning) and I got the third &apos;&apos;Moon&apos;&apos; rune. Does this work with coldblood or just enemies? I seem to get less Blood Echoes when I join a Beckoner. Does the moon runes work on bosses? Obviously it&apos;s the one not listed here. Anyone know where to get the other Rune?